Lawrence is a veteran feature film and television editor who has worked with many of the top creatives at the world’s largest entertainment companies, including Time Warner, Sony, Fox, MGM, HBO, Netflix and Disney. 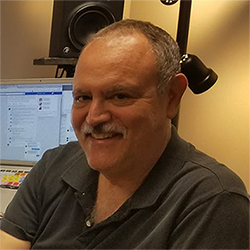 He has supervised creative aspects of the post-production process on over 45 feature films and television shows with budgets ranging from 1 million to upwards of 80 million dollars. He is currently editing his latest feature film, “6tuplets” starring Marlon Wayans, Bresha Webb & Molly Shannon for Netflix and director Michael Tiddes. With a passion for technology, Lawrence was fortunate to have the opportunity to be one of the earliest adopters of digital, non-linear, editing workflows. Along the way he became an adjunct professor at the American Film Institute’s Center for Advanced Studies, and created and taught courses on non-linear editing at UCLA. He has also been a consultant and speaker for companies such as Apple, Adobe,and Avid Technology. Jordan has also written articles for periodicals including American Cinematographer, Editors Guild Magazine, DV and MacWorld. Jordan also created 2-pop.com, an Internet community dedicated to providing information about Apple’s revolutionary new post-production software, Final Cut Pro. 2-pop quickly became the premier web destination for the rapidly growing digital video marketplace and was a catalyst for FCP user group communities worldwide. It was later acquired by Creative Planet. Richard discovered editing on a whim while studying theatre at UC Irvine. Combining his love for storytelling and technology made post production a clear path that he’s been pursuing ever since. Starting out shooting and editing videos for GoTV, one of the earliest providers of mobile video, he worked his way into television starting in unscripted. Unscripted proved a valuable training grounds to work on his assistant editing skills before transitioning into scripted television and features. 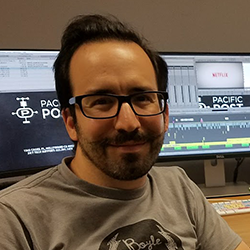 From UFO Hunters to The Good Place to Naked, Richard has seen many different shows with may different workflows and is excited to share his experience with you. There’s always something new to learn and processes to refine, but this course stands as a solid foundation to prepare yourself for working in features.